These are three words that describe owner and principal designer Danielle Burger. She is an award-winning certified kitchen and bath designer and the woman behind Kitchen Vitality Design. 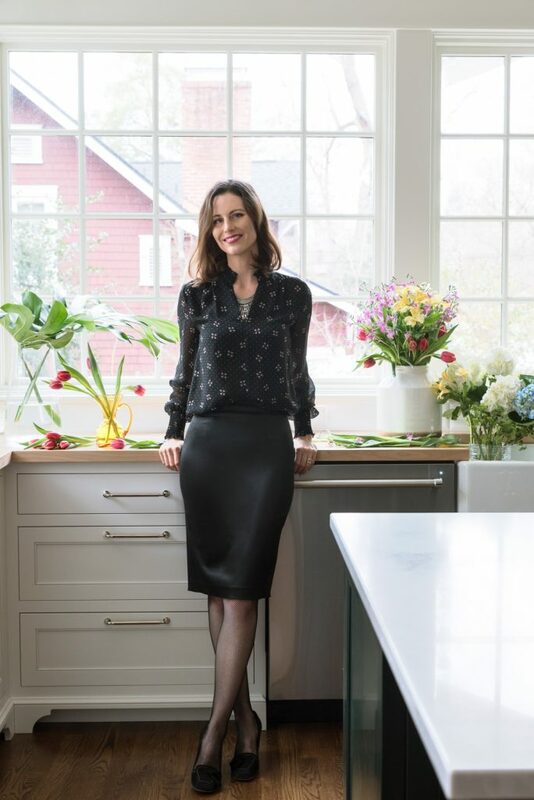 Her studies include a BA in Art History and Italian from Loyola University Chicago, an AAS in Interior Design from Harrington College of Design, and CMKBD certification from the National Kitchen and Bath Association. Danielle’s knowledge and understanding of art, architecture, and interior design combine to deliver an individualized design experience. She brings a collaborative process to every project which helps depict a clear vision from concept to implementation. She approaches each project with ingenuity and passion to provide the ultimate customer service and design. The focus is on the overall big picture to capture your lifestyle in your redesigned space from start to finish. Danielle has been honored with numerous awards including the 2018 Forty Under 40 by Professional Remodeler, the 2017 Top 50 Industry Innovator by Kitchen and Bath Design News and the 2016 Professional of the Year by the NKBA. She has also been featured in magazines such as Kitchen & Bath Business and Fine Homebuilding. When she is not designing, Danielle can be found practicing a yoga pose, gardening with her husband, and playing board games and basketball with her boys.